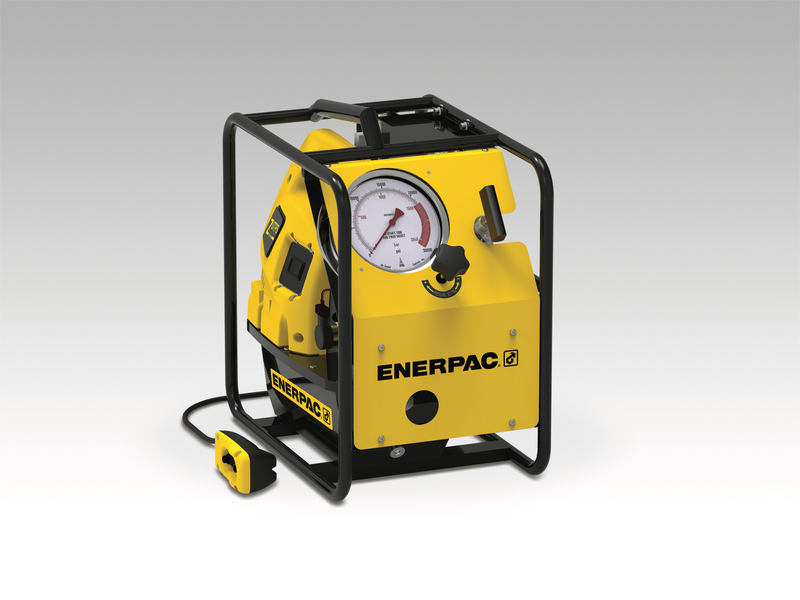 Enerpac has announced the ZUTP-S Series of electric tensioning pumps which provides reliable power and precision for critical bolting joints in the assembly of gas and wind turbines, compressors and power shaft couplings. The ZUTP-S Series features a pendant-operated solenoid valve which is ideal for multiple bolt tensioning applications and allows for single-person operation. The operator can pressurise and retract the tensioner directly from the pendant. The pump generates 21,750 psi (1500 bar) without the need for an intensifier. This allows for low-maintenance and less cost for the user. It features a two-stage pump design providing high flow at low pressure for fast system fills and controlled flow at high pressure for accurate operation. An easy access manual override valve quickly releases pressure if power is lost. The ZUTP-S Series 1.7hp heavy-duty universal motor provides outstanding performance-to-weight ratio while the pump’s panel-mounted 15cm (6 inch) pressure gauge has a polycarbonate cover set into the protective metal shroud for improved visibility. In addition to the 6m (20 ft) pendant for remote control of valves, the ZUTP-S Series includes a replaceable 10-micron reservoir breather and inline high pressure filter helps maintain oil cleanliness for optimum performance.